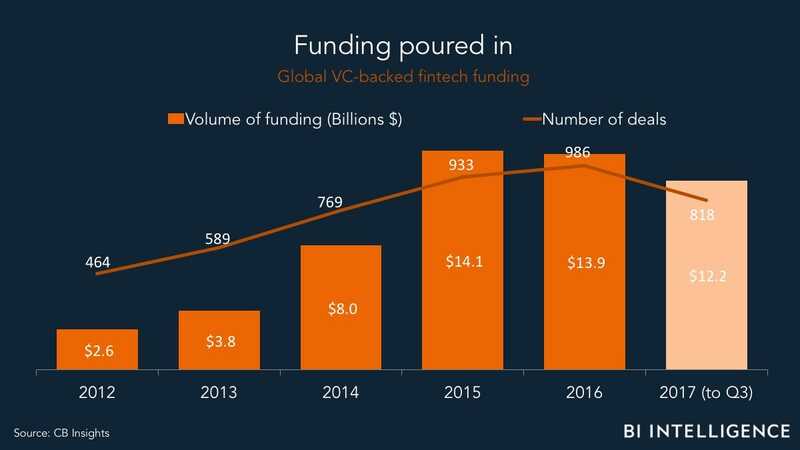 Over the past five years, fintech has established itself as a fundamental part of the global financial services ecosystem. Fintech startups have raised, and continue to raise, billions of dollars annually. At the same time, incumbent financial institutions are getting in on the act, and using fintech to remain competitive in a rapidly evolving financial services landscape. BI Intelligence has created a slide deck exploring the new heights fintech will reach and the developments that will help it get there.